Stand out of the crowd with this beautiful 0.75ct Diamond Eternity Ring boasting an elegant Claw Set design, suitable to match any outfit style. 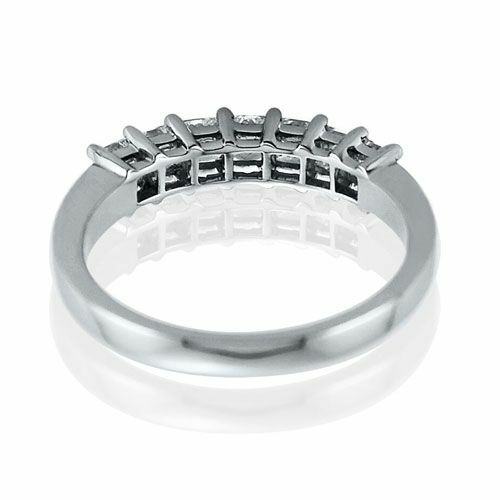 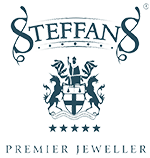 Steffans Platinum Diamond Half Eternity Ring can be teamed up with a range of matching pieces from the Steffans Jewellery Collection to create an eye-catching look. 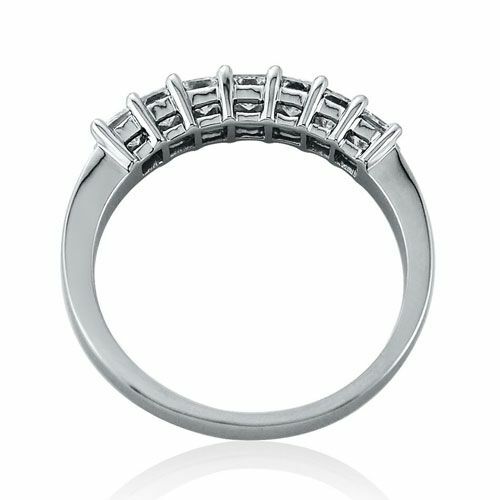 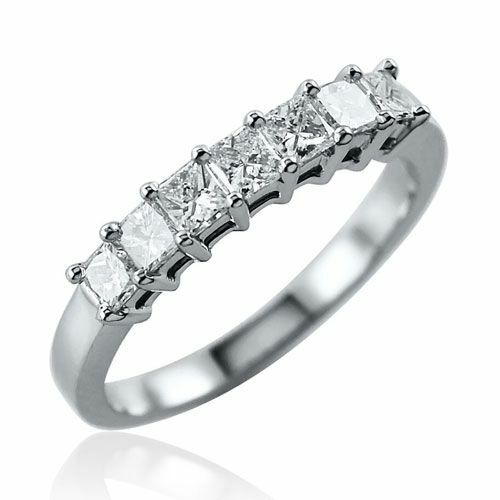 A beautiful Platinum Diamond Ring featuring a fabulous row of Princess Diamonds with a timeless Claw Set design and is the perfect gift choice for someone special.